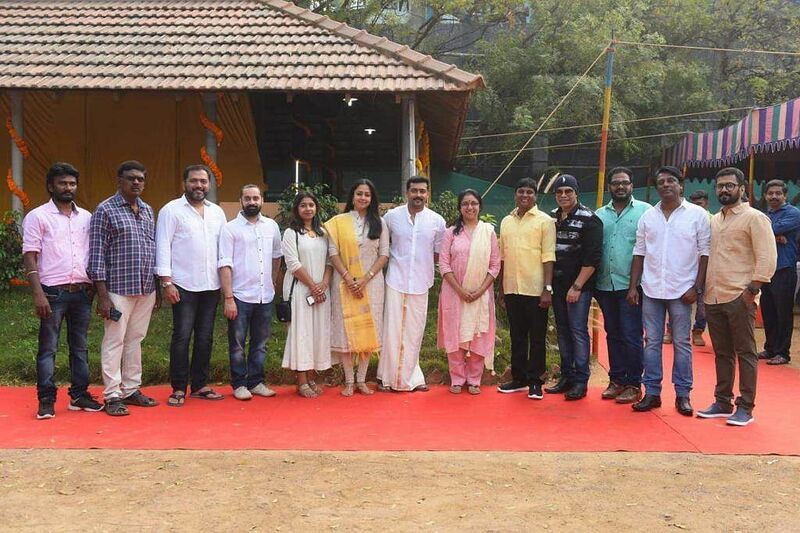 Jyotika, who was last seen in Kaatrin Mozhi, the Tamil remake of Tumhari Sulu, has wrapped up the shoot of her yet-to-be-titled film, directed by debutant S Raj, and produced by Dream Warrior Pictures. The actor, who has been choosing women-centric films in her second innings, has now signed a new film to be directed by Gulebagavali director Kalyan. This film is said to be a full-fledged comedy, with Revathi (also seen in Gulebagavali) playing an equally important role. Also staring Yogi Babu, Anandaraj and Mansoor Ali Khan, the film, which has music by Vishal Chandrasekhar and cinematography by Anandakumar, is produced by Suriya’s 2D Entertainment. The film, which goes on floors today, is being planned as a summer release. Meanwhile, rumours are rife that Jyotika is playing a government school teacher in debutant director Raj's film, produced by Dream Warrior Pictures. The actor is also said to be in talks for SJ Suriya - Amitabh Bachchan starrer, Uyarndha Manithan.